Keeping your Mac's clock current used to be a challenge, but OS X now allows you to automate the process entirely. 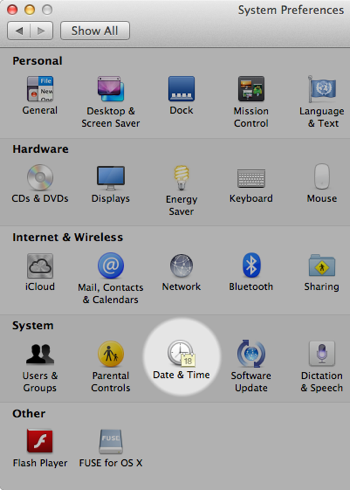 By specifying a time zone in system settings, your Mac can automatically adjust to changes in daylight savings time. And if you're a road warrior, you can set OS X to use location services to automatically determine the current time zone, so the current time zone will always be selected and the current time will always be displayed no matter where you are. Click Time Zone. The window shown below appears. Use the map to select your time zone, or select a city from the Closest City menu. 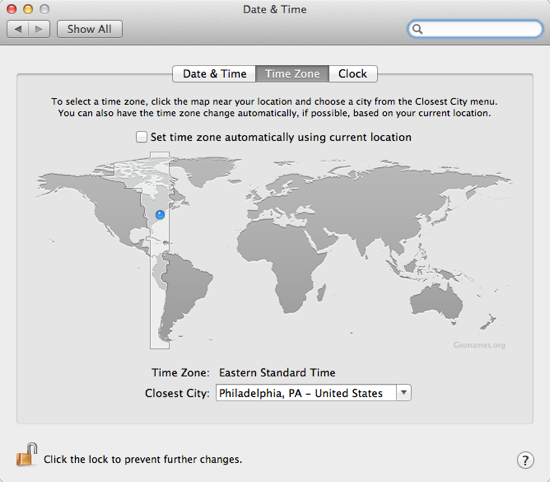 Optional: If you own a portable computer, such as a MacBook Pro or a MacBook Air, select the Set time zone automatically using current location checkbox. This feature will allow your Mac to set the time zone and update the clock when you connect to a wireless network on next your vacation. Congratulations! 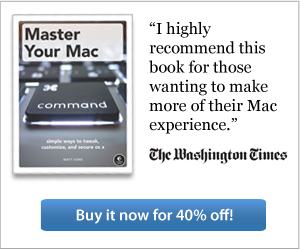 You have successfully set your Mac's time zone. Now your Mac's clock will automatically adjust to daylight savings time.